The winding road leads south as land gives way to steep cliffs that dive into the ocean. Waves crash the walls of the shore which penetrates the rock with its brutal cold. 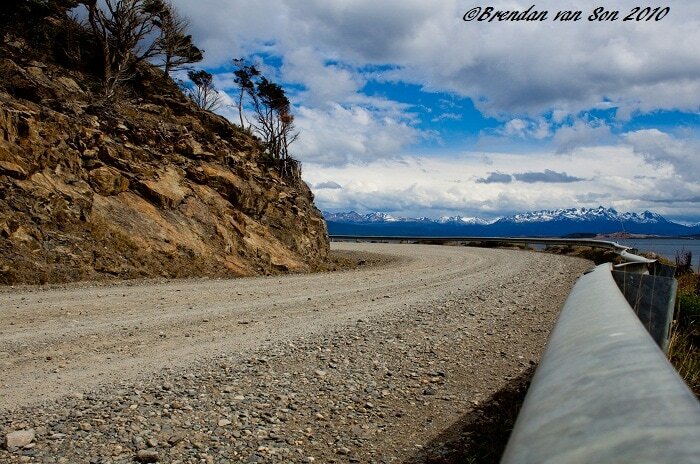 The road wraps along the protective wall of the Beagle Channel as if it is looking far a way to cross and head farther south. Wow, what a nice photograph! I love the blue skies and deserted road!